Windsor Wines prides itself on its premier service to customers and its staff’s in-depth knowledge of all of its products. Its staff are more than willing to provide advice and information about all of its wine, beer, spirits and will take the time to understand what you want, so that you get personalised service every time. Whether you are looking for traditional New Zealand beers or wines, something special to celebrate or anything in between the team at Windsor Wines will be happy to help. 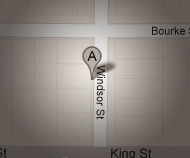 The ILT establishment is based in Windsor. It offers free parking and is also able to organise tastings for any occasion and can supply a range of glassware for functions. Manager Stephane Fabre grew up on vineyards in the south of France which were owned by his parent and has since cultivated a career specialising in wine. After carving out a career as a sommelier in France, he moved to New Zealand in 1999 and has worked in the wine industry ever since. He has a comprehensive knowledge of and real passion for international and local wines and, since moving to New Zealand, has further developed his interest and knowledge of beer. Stephane is more than happy to share his experience and knowledge with all when you are visiting the store or during the tasting sessions offered by Windsor Wines. Urte Bierlin has worked at Windsor Wines since 2008 and brings a knowledge and passion for German and European beers. Urte has hosted beer tastings throughout Invercargill and has also developed a comprehensive knowledge of wines during her time in Invercargill.